Post by LGBT New Media. Post by Pinkieb.com. Post by Gay Monde. Post by Gay Monde. Post by Pink Banana Media. The National Association of Gay and Lesbian Real Estate Professionals (NAGLREP) has announced that it will host the 2014 National LGBT Real Estate Conference on October 14-16 at the Embassy Suites 17th Street Causeway in Fort Lauderdale. This is the first national business and networking forum of its kind dedicated to the LGBT real estate market and promoting homeownership in the lesbian, Gay, bisexual and transgender community. The 700-member association with 35 chapters nationwide, which was launched in 2007 by founder Jeff Berger, is a mission-driven trade group that combines business and advocacy for equality to advance homeownership in the LGBT community. The fall conference is expected to draw leading experts on the LGBT market, nationally recognized trainers, housing and real estate executives and about 400 top-producing LGBT and gay friendly real estate professionals. 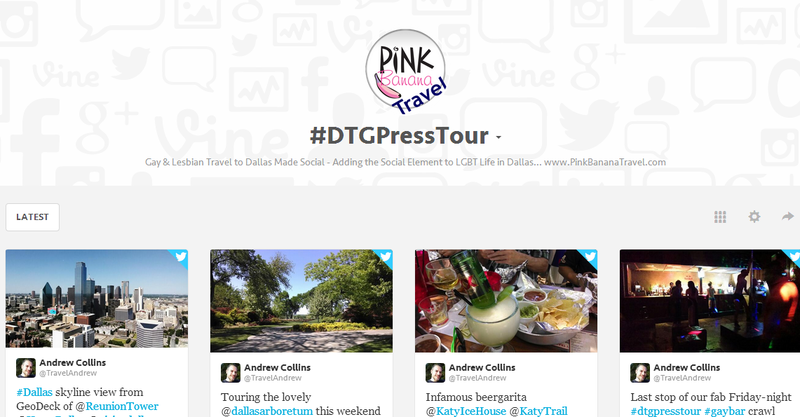 Welcome to our first of a new series we're launching here at Pink Banana Media... the #GayTravel Hashtag RoundUp. These are "social media stories" told by the folks out there Tweeting, posting their photos to Facebook and Instagram and sharing their videos on YouTube and Vine... all using a unique #hashtag and posting with a purpose! This week we've chosen the IGLTA's ever successful Convention (www.IGLTAConvention.com / @IGLTA), an annual event this organization has put together for 31 years now. This year's event, held 8-10 May in Madrid, hosted approximately 275 delegates, Spanish dignitaries and global media who had gathered for networking and education to further the development of LGBT tourism. 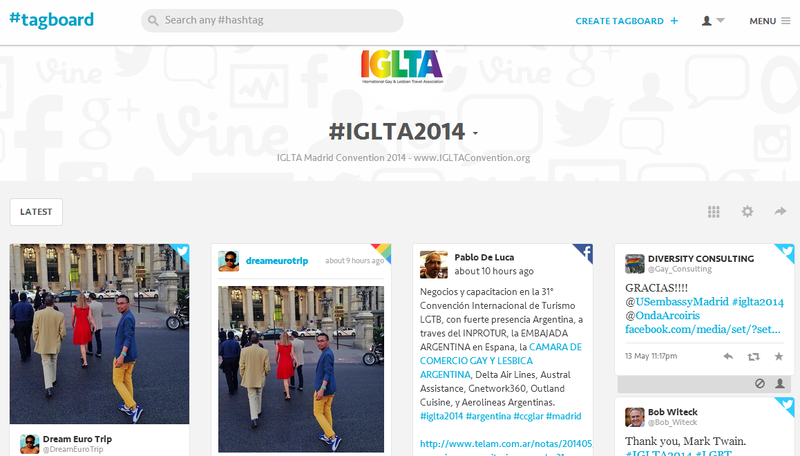 Welcome to our first of a new series we're launching here at Pink Banana Media... the #LGBTBiz Hashtag RoundUp. These are "social media stories" told by the folks out there Tweeting, posting their photos to Facebook and Instagram and sharing their videos on YouTube and Vine... all using a unique #hashtag and posting with a purpose! For our first #LGBTBiz Hashtag RoundUp, we've chosen the Dallas Tavern Guild's ever-successful LGBT Press Trip of 2014 (www.dallastavernguild.org / @TavernGuild), an annual event this organization has put together with local LGBT businesses, bars, clubs, the Cedar Springs Merchant Association (www.thestriponcedarsprings.com) and the Dallas Convention & Visitors Bureau for almost 10 years now. Bringing together a variety of LGBT travel writers, this trip included GNetwork360 from Argentina, Hans Ebenstien Travel, Fodors, About.com and more. Community Marketing & Insights (CMI) has released a breakthrough report on the attitudes and consumer behaviors of over 2,000 African American / Black LGBT residents of the United States. The study, produced in partnership with the Center for Black Equity, focused on participants who interact with media, events and organizations representing the African American / Black LGBT community, especially Black Pride festivals. 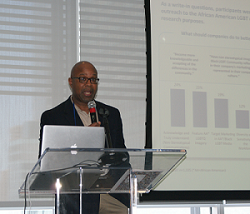 The research report was presented on April 24th by Earl Fowlkes (see photo), President of the Center for Black Equity, during the 7th Annual LGBT Marketing Conference at the New York Times Conference Center. “This survey is a major break though for the African American/Black LGBT consumer market. We finally have data that provides insight on the African American/ Black LGBT purchasing power in the United States,” said Mr. Fowlkes.